There are some books that are perfect for reading aloud to a group of children. 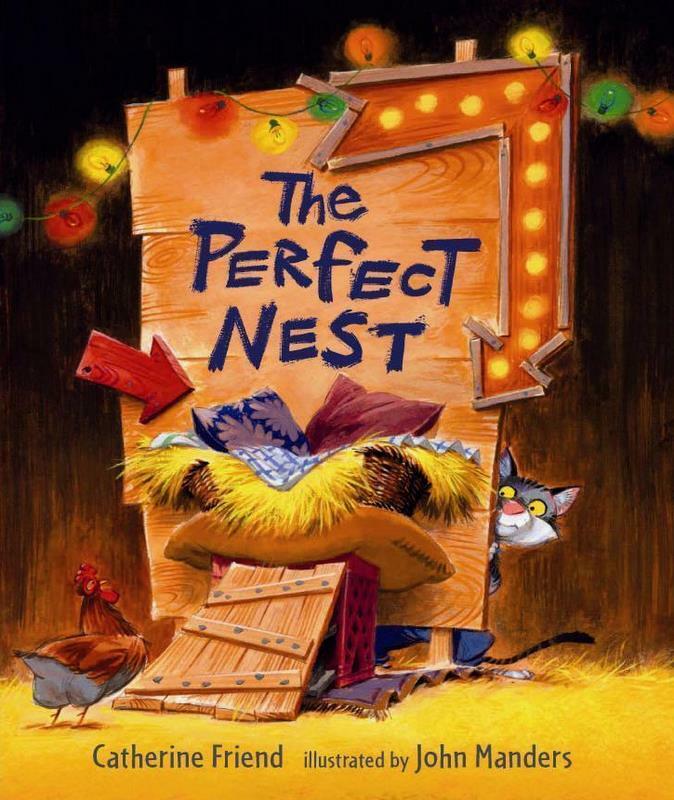 Catherine Friend’s The Perfect Nest, perfectly illustrated by John Manders, is just such a book. The story is simple, humorous, with a sweet message, and pictures that work for reading to a group. Kindergartener’s loved hearing this book this week and we had a chance to use the thinking routine called “fluttering feelings” to talk about how Jack the Cat’s feelings changed from the beginning of the story to the end. First Grade–The Giant Hug by Sandra Horning not only works as a way to explain the workings of the postal service, it’s a fun way to engage students in the thinking routine called “story sequel.” Owen wants to send a hug to his granny–an actual hug– and in a series of funny interactions it makes its way across the country. And when his granny wants to send him back a big kiss for the hug? Students had a great time coming up with the sequel. Second Grade–In teaching about plot, one of the elements students love to find is what might be called “the dark moment.” After talking about that element, students heard Chrysthanthemum by Kevin Henkes. After loving her name before she starts school, the title character discovers that not everyone shares her feelings about it. Using the thinking routine “here comes trouble” students watched how it became a problem for her, and how she discovered her own idea was right after all. There is a lovely gentle message about bullying in the story as well. Third Grade–Continuing our discussion about plot, students heard Murfaro’s Beautiful Daughters by John Steptoe. In this lesson, students used the thinking routine “same, same, different” to discuss the ways in which this book was similar to last week’s Cinderella tale, Adelita by Tomie de Paola, and how it was different. Then we looked for the one word that could summarize the theme of these two stories. One student also found a great connection to a story they had heard last year, Toads and Diamonds by Charlotte Huck. It’s wonderful to see students using their thinking routines in a spontaneous way! Fourth, Fifth, and Sixth Grade–Battle of the Books meetings will start on Feb. 3, so this week upper graders had a chance to be in a mock Battle of the Books so they could see how the Battle works.